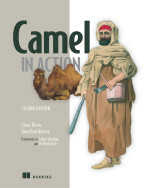 I thought it would be a good moment to sit down and write a little blog entry about how it goes with the Camel in Action book. What better moment to do that than sitting in Heathrow killing a couple of hours before before departing to the states for a business trip. I am exited as I get the chance to meet my fellow and talented co worker from the Fuse team. It has been almost 7 months for me on the book in terms of writing. I started at full speed on the 4th of July which must be a date that our friends from the states can remember. A couple of months in the process Hadrian and I realized that we need to adjust the team. We invited Jonathan to join us which works great. He have already produced 2 full chapters and is up to speed on the third. This is impressive as he got the honor to rewrite the first chapter which is the hardest to write. All three of us have had a go at this chapter. In terms on my end I have focused on some of the more technical heavier chapters which suits me fine. It's after all me who is responsible for some of the major overhaul, improvements and new features introduced in Camel 2.x. Yes I am sure to brain dump evert piece of information so you are sure to get the most up to date material in the book. For example I have amended the chapters several times during work on Camel 2.2 which have introduced some new features and improvements. Two weeks ago we had our 2nd review completed. The review process is controlled by Manning and they do a great job finding a great bunch of people for the review panel. Its totally anonymous so we do get the word from the hearts. It's a mixed group of Camel experts, end users and authors whom have don't know Camel. I will get to what this 2nd review have had as impact on the book in a moment later. We have also started the first copy editing process which means a professional editor from Manning is going over each and every chapter word by word, line by line, and checking that all add up. This is a remarkable work they do. We could start this work already since the 2 reviews have shown us that we are on the right track and the content so far in the book is great. Readers of my chapters will be glad to know that after the work of the copy editing the grammar and the flow in the language will be enjoyable to read. I am sorry but english is only my 2nd language. Another impact the review and also you the readers of the book have had is that we have been in talks with Manning to extend the book with 2 new chapters. This is possible to do since the book have been received well so far. Thanks for all of you who have shown interest in the book. And especially you who have bought it. Its all thanks to you that we can include 2 new chapters to make the book cover Camel really really well. We have already devoted one of the new chapters to cover concurrency, threading and the stuff associated with this. Its my next chapter when I have finished what is to become chapter 12 (monitoring and management). As there are still one chapter to be decided what it should cover we have though to ask you. Of course we do have a couple of topics in mind but we would rather leave it totally open. So please if you have ideas then come along the Manning Author Online forum where we can discuss this. At current time we have produced 7 chapters in a total of 250 pages which is available at the Manning MEAP program. That must be the half of 14 chapters, hence the block title. Martin Krasser our new and talented committer have crafted the camel-gae component with a very cool tutorial and demo application as well. Now you can try this out as the Camel tutorial demo application is running in the cloud at Google. You can read more about the tutorial here (has screenshots).